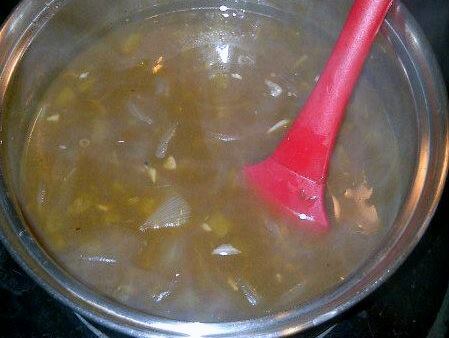 This gravy is unexpected because of the addition of Hatch Chiles. I love the slight spice that these chiles add to a beef gravy. Totally simple yet so full of flavor! Great on mashed potatoes or rice. Saute the onions and garlic in the olive oil until tender. Stir in the chiles and worchestershire sauce. Combine the beef broth with the corn starch and add to the pot. Bring to a boil then reduce heat and simmer for at least 5 minutes.